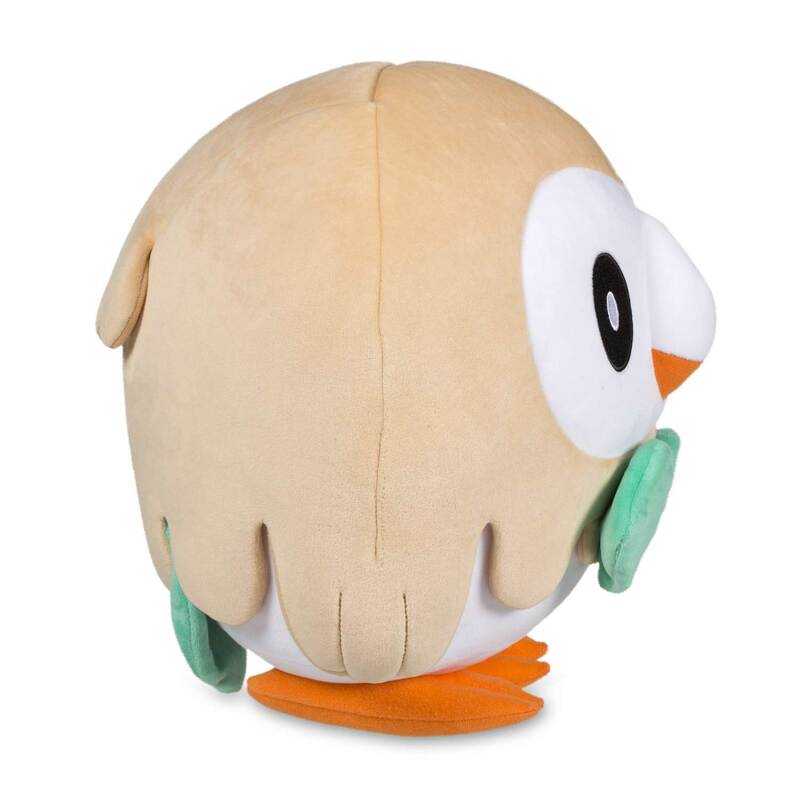 Rowlet Plush (Trainer Size) - 11 In. 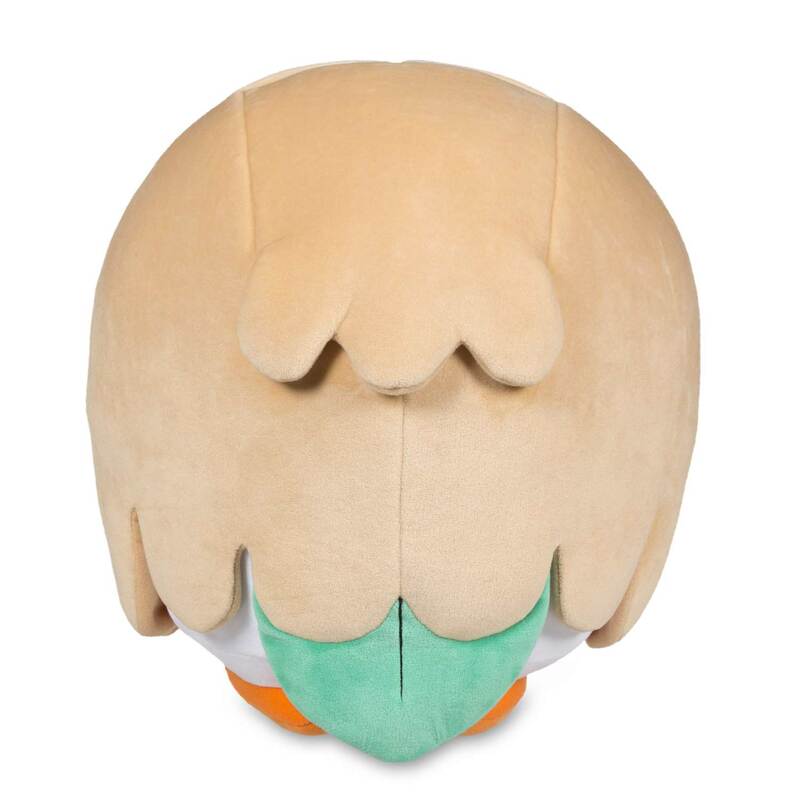 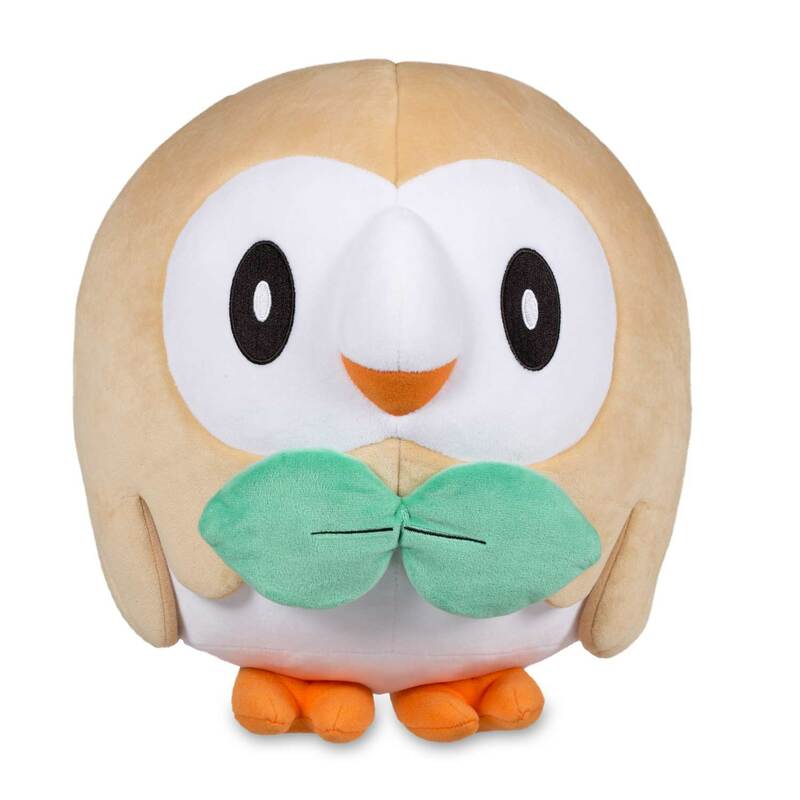 Round and adorable, this big Rowlet Trainer Size Plush is 11 inches tall-and almost as wide! 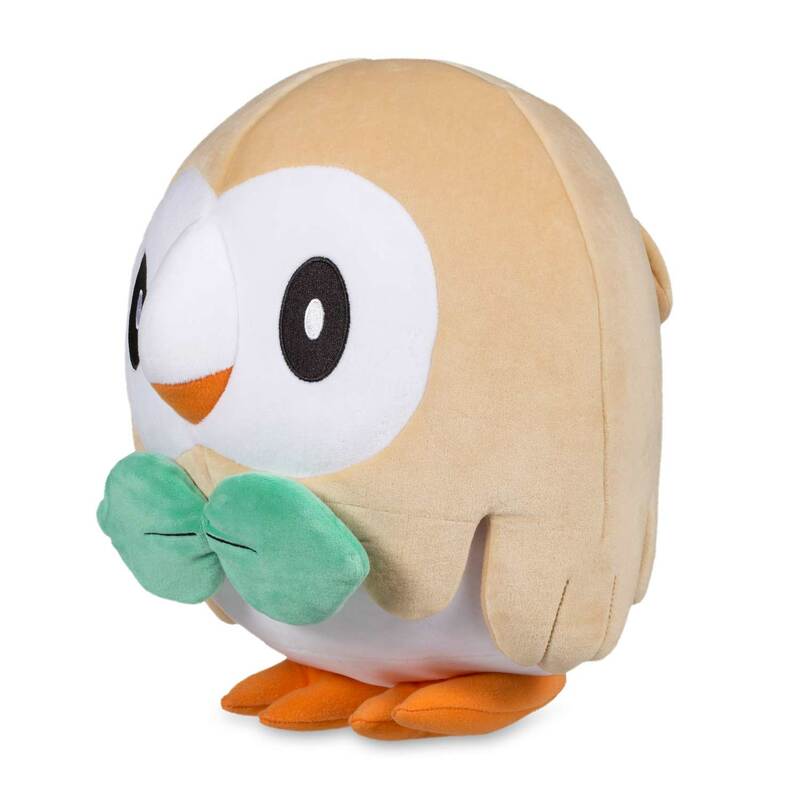 Show your love for the Grass-type first partner Pokémon with this excellent oversize plush, complete with orange, two-toed feet and the leaves on its chest that look like a bow tie.